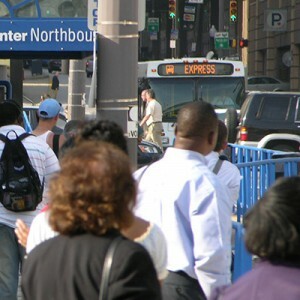 Baltimore’s transit offerings including Bus, Light Rail and Metro – are disconnected and not run optimally. The lack of a real transit system hampers our City’s ability to attract and retain families and businesses. Our City’s piecemeal transit directly contributes to patchwork economic development, intractable quality of life frustrations for residents in neighborhoods, and persistently segregated communities. While complex, these problems are fixable. The development of a comprehensive, efficient and effective mass transit system is essential to the City of Baltimore’s long-term sustainability, prosperity and relevance. Transit Choices suggests that running what we have optimally and efficiently is the first step towards better transit. A higher quality of life marked by transit alternatives that are better for the environment, healthier for the individual, and more beneficial for the local and regional economy.